The end of Spring seems like the end of the year. In the dog days of Spring smoke from burning farm fields on the coast and Navajoa is blown up into the foothills of Alamos. Warm heavy air holds down a layer of dust that covers anything that doesn’t move. It is what it is, life goes on as another yearly cycle completes its course. Everything glistens with a sheen of cleanliness. 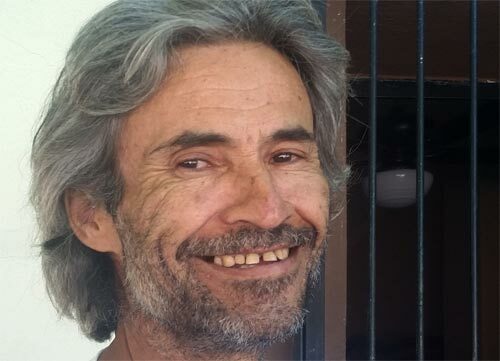 Spirit returns to the laugh and smile of the Alamos. Color explodes in what not long ago was the plainest of places. Behold a lush cornucopia of jungle greens accented with vibrant wildflower rainbows. Overhead, ever-changing skies take on moments of absolute magnificence. One is embraced by healthy glowing faces proud of their crops coming up around them. Lluvia! In the jubilant glory of rain’s fulfilled expectation, yes!, there’s more life to come. Lluvia! And here we are. It is always good to climb in the cool of the morning. The air is aromatic – a taste of menthol. Birds are singing. The hills are alive with color. There is water in mountain gullies. Growth is everywhere. It is summer. Lluvia! Its late Spring looking west at Alamos from the ranch’s high ground. Where there is water there is green. This photo was taken on an Easter Sunday. 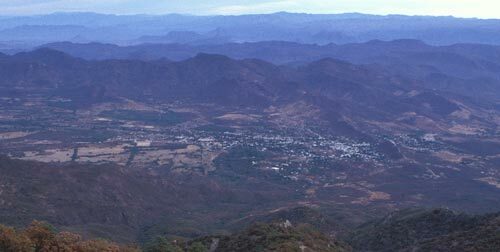 Alamos, with Cacharamba behind it, is to the west. Where the desert meets the dry tropical forest. When the summer rains come the dry arroyo could be at flood stage. On this easter Sunday one can only imagine rain. The dryness is everywhere. Summer 1996. The rains have come. The hills are alive with the sound of music and color. Everything is overgrown. Where there were paths through the hills in the spring is now dense entanglement. One needs to be watching where they are go if they can go at all. 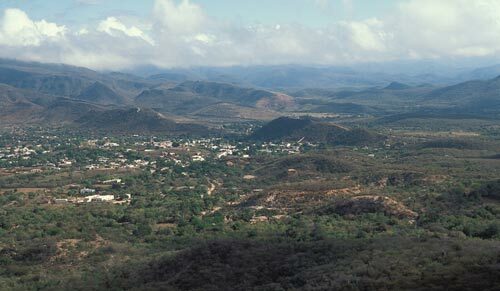 Gringo Point is to the upper right with Alamos below. It is becoming warm despite the altitude. 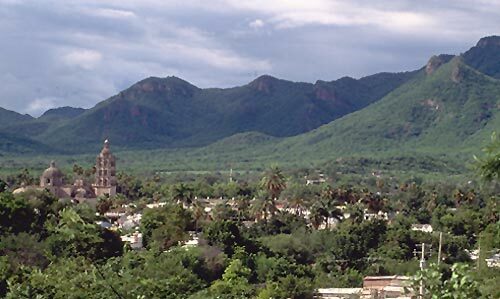 Álamos from here appears to nestled in the hills like an egg in a nest. 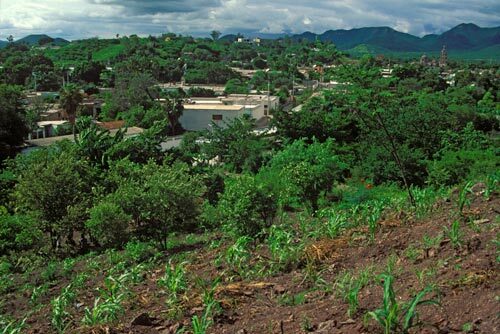 It is a small colonial town surrounded by land that through history man has rarely touched. Here, the wilderness dominates and man exists. El Camino Real takes the easy way northward. Any season, hundreds of years ago, would be difficult to travel on the El Camino Real. But a road, like water, follows the path of least resistance. This view is towards the north-northwest. Over the horizon, hundreds of miles away, is the border and beyond, hundreds of miles, are Los Angeles and San Francisco. From here, at this moment, with morning tea over a small wilderness cooking fire, no bigger than a single flame, everywhere is far, far away. Yes, it is summer time and the living is easy. Summer returns every year as does a sunrise does every day. The question on many minds is will the rains return, and when? This scene is after an evening shower that had washed the streets clean and watered every garden. Summer is the Alamos season of vibrant color, rains and nights of natural magic and wonder. Lightening on a warm Alamos summer evening is a show to remember. The romantic Plaza is a wonderful vantage point. Rolling thunder punctuates child’s play and lovers’ embraces. 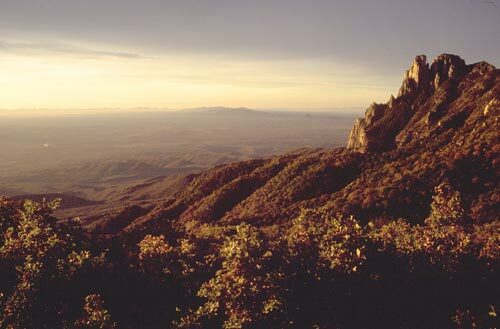 Atop Sierra de Alamos, near Gringo Point, looking south at sunrise into Sinola. 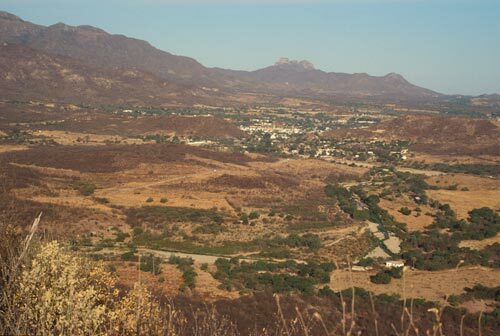 So much of Alamos-Sonora-Mexico.com is about history. In that spirit let us peek at the region’s geologic history, stand earth time. The Sierra Madre Occidental and the Rocky Mountains began to form 90 to 30 million years ago along the west coast of North America. Ocean levels were much higher than today, back then there was no Florida. The age of mammals started 66.4 million years ago. 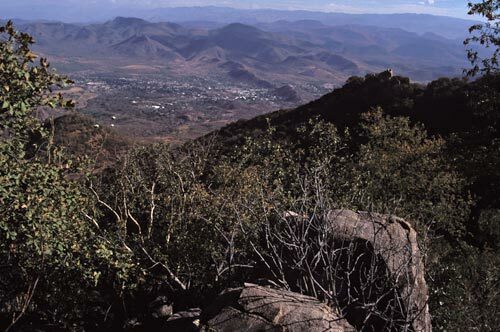 Sierra de Alamos was beginning under great pressure deep in the earth along with what would become Aduana’s silver deposits. 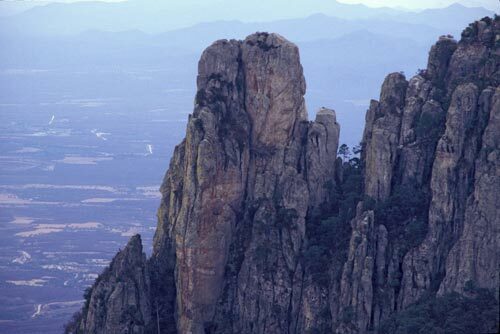 Sierra de Alamos is granite, only recently has it emerged from the earth. 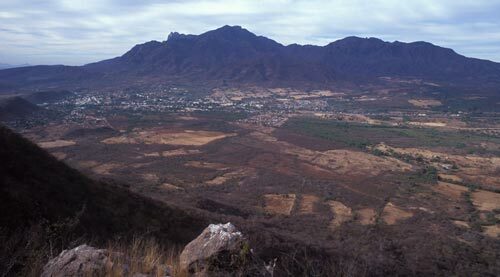 Northwest Mexico, including Alamos, was buried under thousands of feet of ash, cinder and lava flows. Volcanic eruptions began 25 million years ago and continued another 12 million years, give or take a day or two. 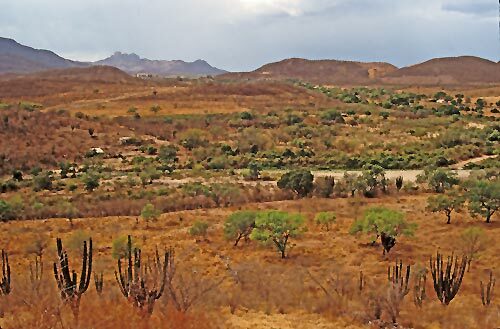 The Sea of Cortez began to form 12 to 3 million years ago as the Basin and Range block building was underway. 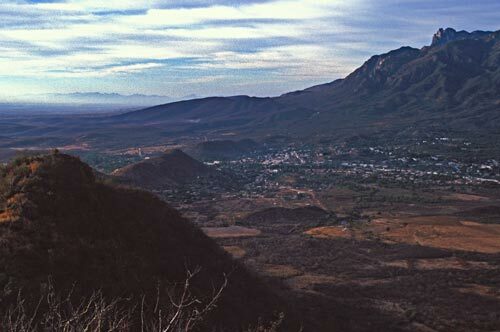 Sierra de Alamos was still underneath a layer of all things volcanic. 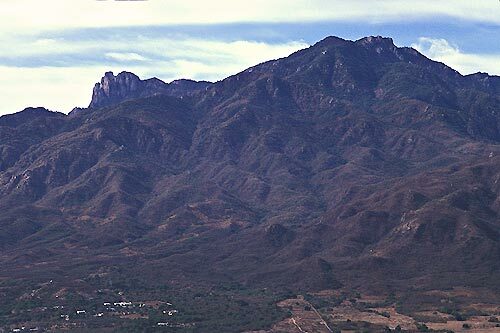 Over time erosion cut into ash flow plateaus creating landmarks like Barrancas del Cobre, Copper Canyon, whose materials were washed away and deposited near Sierra de Alamos. The rising mountain was still cover by blankets of earth. 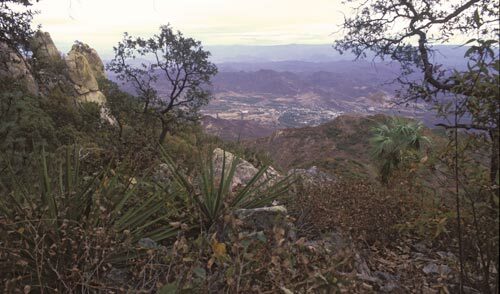 Atop the mountain looking southwest towards farmland and the Sea of Cortez. As time marched on climate changed. The region began to cool 15 to 30 million years ago. Two to four million years ago it was warming up and raining. Most of the past two million years has been an ice age with 15 to 20 glacial periods. And now the planet is warming again. 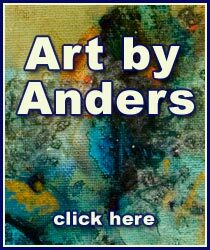 From a distant gallery it may look as if earth’s climate ebbs and flows like clockwork as the solar winds race past our blue planet, a molten rock with the thinest of crust and atmosphere. 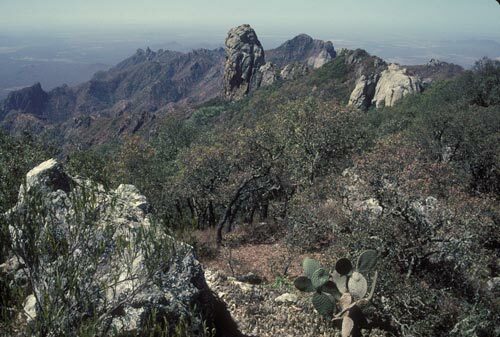 Spring time on the mountain looking north with Alamos waking up below. Today, Sierra de Alamos rises thousands of feet above its surroundings. 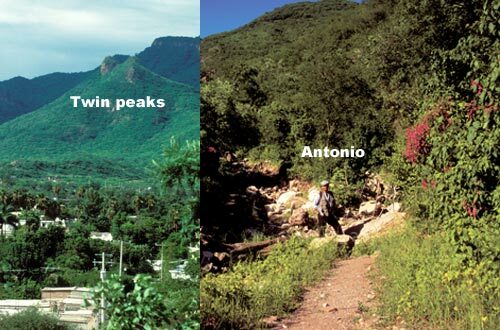 And many have visited Alamos to research the region’s geology, flora and fauna. 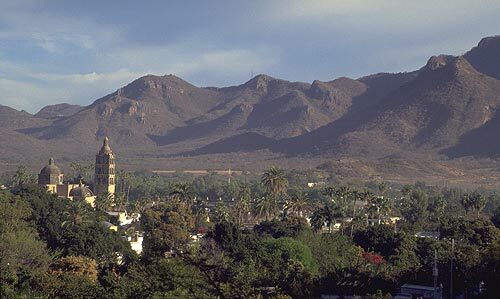 Josephine Scripps was asked by the San Diego Natural History Museum in the 1940’s to lead a group of six young men, none who spoke spanish, on a natural science expedition to Alamos. They were to bring back a rare mountain sheep’s skeleton and hide. Josphine, 1910 -1992, was the granddaughter of Edward Scripps, founder of the Scripps – Howard newspaper chain. 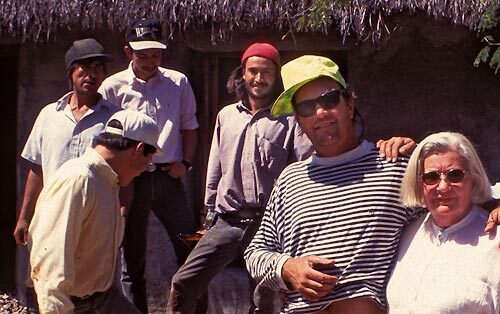 Her life-long pursuit of collecting mineral specimens from across the planet began on that trip to Alamos. This may not be a well-traveled road but it is a long-traveled path through time. If one were to close their eyes and listen to the footsteps of this old woman, with a young woman’s body, one would hear someone going back in time, retracing footprints of the ancient ones as this old woman returns to Estancia Crysalis. Here is another world where the land speaks in a dominate voice. Listen carefully, and one will hear sounds that Indians heard before the arrival of the Spanish. Here, there is a purity of all things nature. 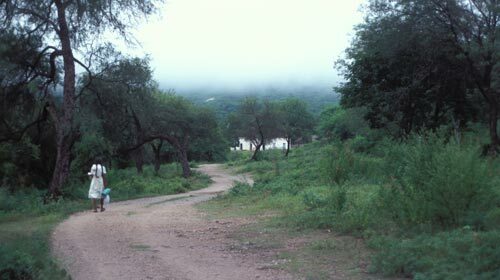 It is a short, invigorating walk from Plaza de las Armas to Estancia Crysalis on paved road, the old El Camino Real. 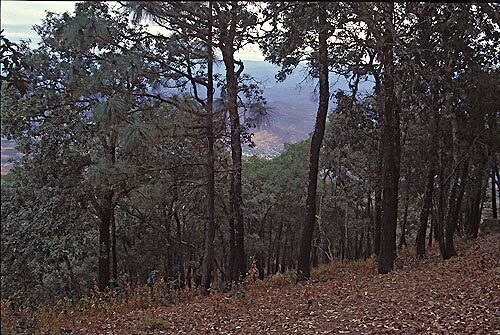 The slight incline, as you rise into rolling Sierra de Alamos foothills, stirs the minds and exercises the heart. 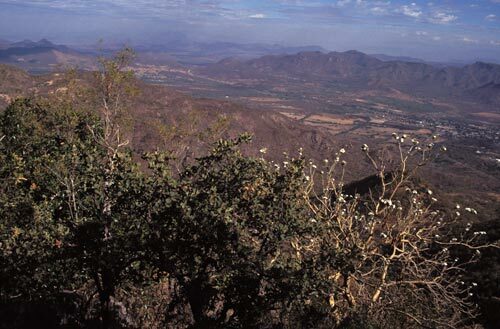 The entrance to Estancia Crysalis is across the road from the El Mirador. The dirt road into Estancia Crysalis follows Arroyo Barranquita. Once on the ranch there is the Sierra Alamos, right there, in all her beauty, framed by 200 year old Mesquite trees. For the Arabians these were stalls for students these were shelter. And so it was and so it is. 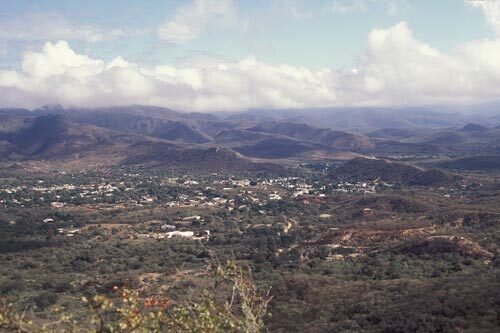 Estancia Crysalis was formerly known as Rancho Las Crucecitas. The last owners of Rancho Las Crucecitas, Dr. Martin Dale Edwards and his wife Zora Tyler, raised a select herd of 22 purebred Arabians. These rustic stalls were the horses homes. 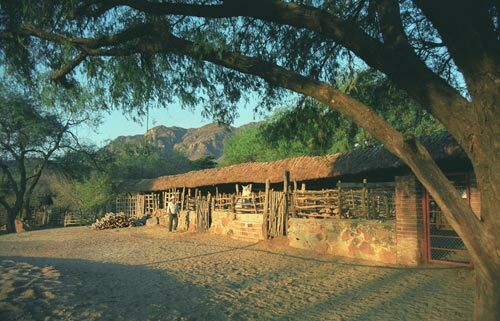 Sharon Bernard is the current owner and changed the ranch name to Estancia Crysalis. A group of college students on a field trip from the USA stayed at Estancia Crysalis and used these stalls for lodging. And so it was and so it is. 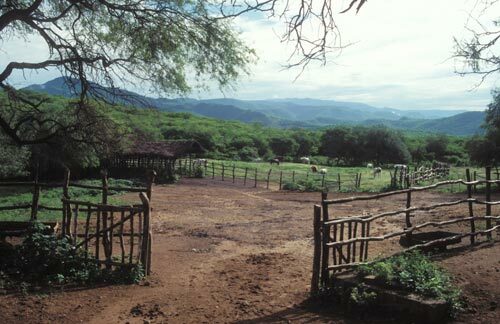 A Ranch on the outskirts of town, looks forward to the future. The above video is from summer. The following video is spring. Estancia Crysalis experiences the seasons in all their dramatic changes. 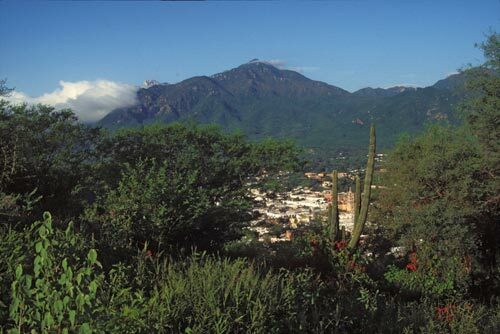 Life in Centro Alamos is dominated by man’s structures and gardens. Life on Estancia Crysalis is dominated by nature. In another era, Estancia Crysalis was a working horse ranch. This page took 0.459 seconds of computer labor to produce.